1. what is the difference between locker and cabin? if i buy a tickets for cabin, can i leave my personal effects (phone, money..) in cabin or is necessary a locker? 2. Have you hairdryer in cabin? 3. Is swimming cap obligatory? The cabin is like a tiny room, or cubicle where you can get changed and store your belongings. The cabin size is approx. that of a dressing room in a clothes shop. The door of the cabin has a unique chip code lock, which opens and closes with a special waterproof bracelet: in fact, with the chip incorporated in the wristband bath entry provided at the bath. Please make sure that your door is locked with the silicon wristband before leaving the cabin. As you are wearing the band all the times, it is quite secure if you make sure that the door is not left open. The size of the locker is 120x30x65 cm (1200 x 300 x 650 mm). The lockers are also opened and closed by your wristband. You can find hairdryers on the corridors around the changing rooms. The swimming cap is not obligatory. Can I exit and re-enter with a daily ticket? unfortunately not, you can enter only once with a ticket. Thank you for your understanding. We are a 4 people group, do we have the possibility of taking the guided tour on a monday? of not, is there any café or restaurant with views of the main indoor swiming pool (the most famous)? the visitor ticket includes only a 15-20 min guided walk in the building but unfortunately, you can not enter the pool area with a visitor ticket. 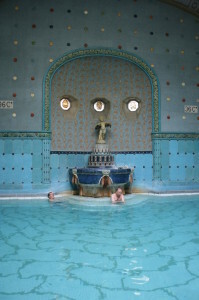 Guided tours in Gellert Spa are on every Tuesday, Thursday and Saturday from 11am and 3pm. No advance booking is required, the visitor ticket can be booked on the spot. I´ve just bought two tickets but I haven’t received a confirmation e-mail, only a Paypal receipt. Can please resend it? if I buy 2 packages / tickets along with the massage, Can i request a massage for couple? or we have to have an individual room ? if they are 45 or 60 min massages it is possible to get them in the same room! 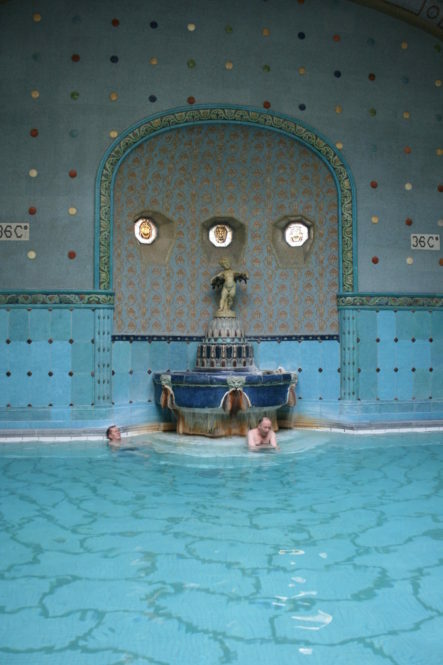 Enjoy your visit at Gellert Spa!